I have just published my first Android App, Eco Trip. 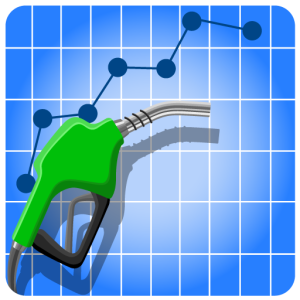 The app calculates gas mileage, creates line charts of the mileage and shares the mile per gallon graph to social media sites. I created the app to calculate my own gas mileage. I use the app every time I fill up. This app replaces the paper and pen mileage log that I have been keeping for years. The app also follows the first rule of modern app development. 1) The application shall have the ability to share any images produced by the App to facebook. Why limit yourself to posting pictures of what you had for lunch or funny cats when you can share your fuel economy with the world? If you are so inclined, you can get it on Google Play. Here is an example of a graph embedded in a tweet.